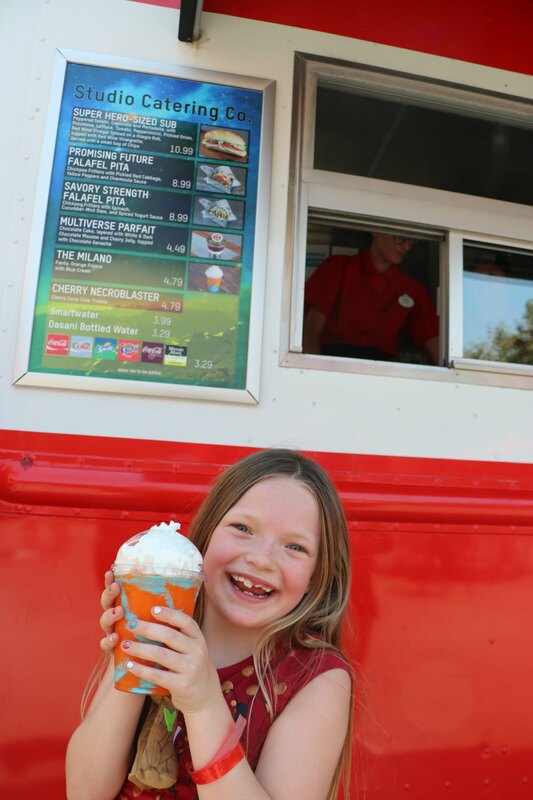 Everything You Need To Know About The Summer Of Heroes At Disneyland – It's a Lovely Life! We just got back from an awesome getaway to Disneyland for the Summer of Heroes. 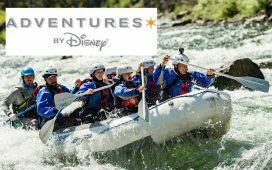 Thank you to Disneyland Resorts for hosting our adventure. 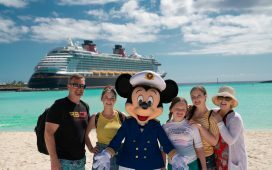 Pete and I were so excited to take the girls to the Disneyland Resort for the Summer of Heroes and our overnight vacation was a complete hit! We all had so much fun! We made it a formal mini-vacation by getting to Disneyland early on the first day. 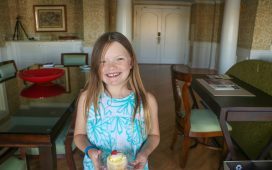 We were able to spend a full day at the parks and even spent the night in one of the newly refurbished rooms at Disney's Grand Californian. Then, the next morning we had a character breakfast and enjoyed the updated pool area. 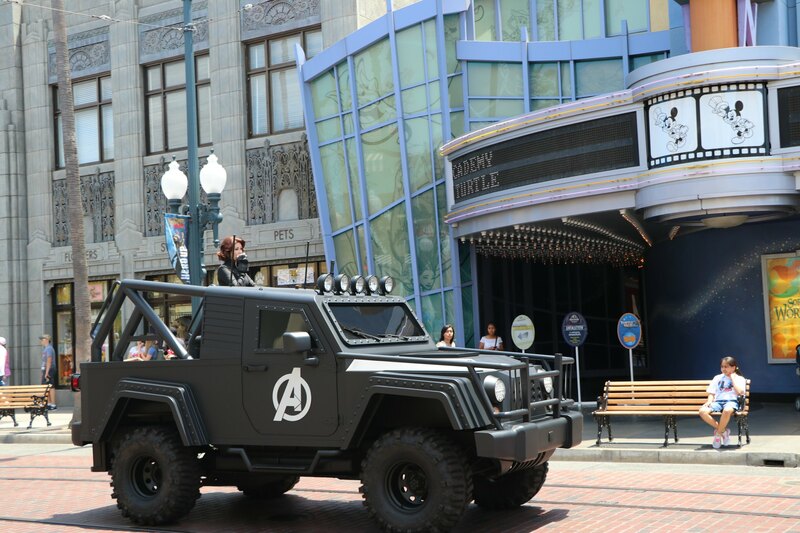 Emmy had so much fun participating in this daring adventure on the Hollywood Backlot, to see if she had what it took to become one of “Earth’s Mightiest Heroes.”. She learned defensive and attack maneuvers to defeat the villain Arnim Zola, who is known by Captain America fans to be from the evil HYDRA organization. Black Widow, also known as Agent Natasha Romanoff, is the commander of the training team who demonstrates the defensive combat techniques. The kids all took this very seriously! If you have preschoolers, you will want to make sure to check the times for the Disney Junior Dance Party! We were on our way to take a look when we saw none other than Black Widow! The Summer of Heroes happening right now means that there are heroes EVERYWHERE! There are also Heroic Encounters throughout the day where you can have your picture taken like Pete and I did on our last visit! 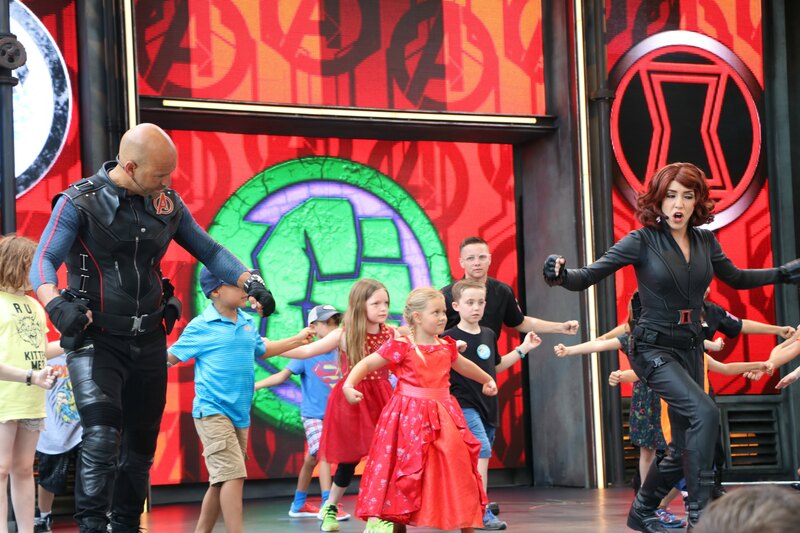 You and your kids will love that they can meet Spider-Man, Captain America, and Black Widow at these encounters. 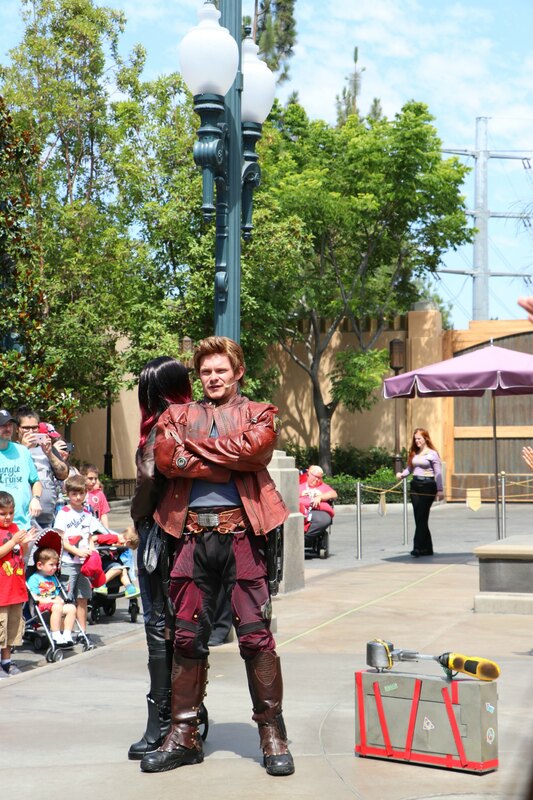 Another favorite activity was the pop-up Guardians of the Galaxy Awesome Dance Off! We caught it right in the middle and the kids all had so much fun. Plus, Pete and I LOVED the music! At the end, Groot even makes an appearance! Now, no day is complete without face painting right? I mean, no kid can pass up looking like their favorite hero right? 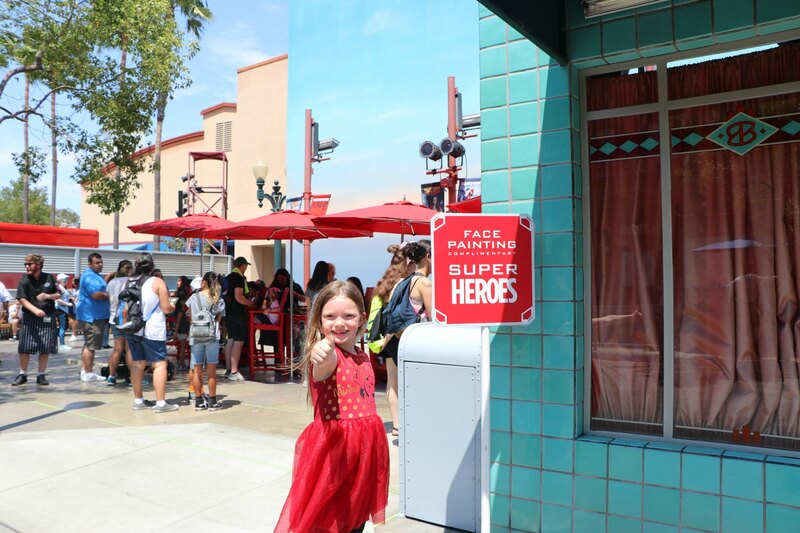 Bring the family over to Disney California Adventure Park, Hollywood Land to get their faces painted like a HERO! 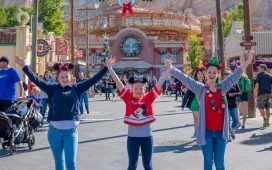 The girls all finally got to ride Guardians of the Galaxy – Mission: BREAKOUT! and it is now a new favorite! Emmy just kept saying: ” I LOVE IT” and Rocket is so COOL! More fun things not to be missed are the Summer of Heroes Showcase! This thrilling montage of blockbuster scenes that show how The Avengers and other Super Heroes sprang to life! It is a great intro for those that haven't seen the Avengers on the big screen or need a refresher. It is also the perfect place to take a break and sit for a bit in the air conditioning before heading back out for more fun! SPIDER-MAN DONUTS!!!! Oh, my! These are just as cool to look at as they are delicious to eat! Emmy had a Milano which was out of this world tasty! 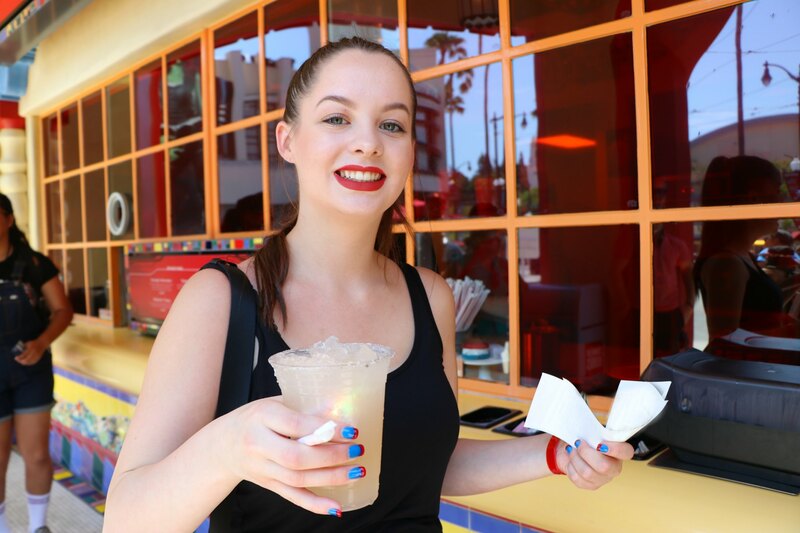 Maddie, of course, couldn't pass up a lavender lemonade and it looks even cooler at night with the glow cube in it! And then we saw this baby GROOT tumbler. We had to have it! It is located in Hollywood Land, at Award Wieners and other locations. 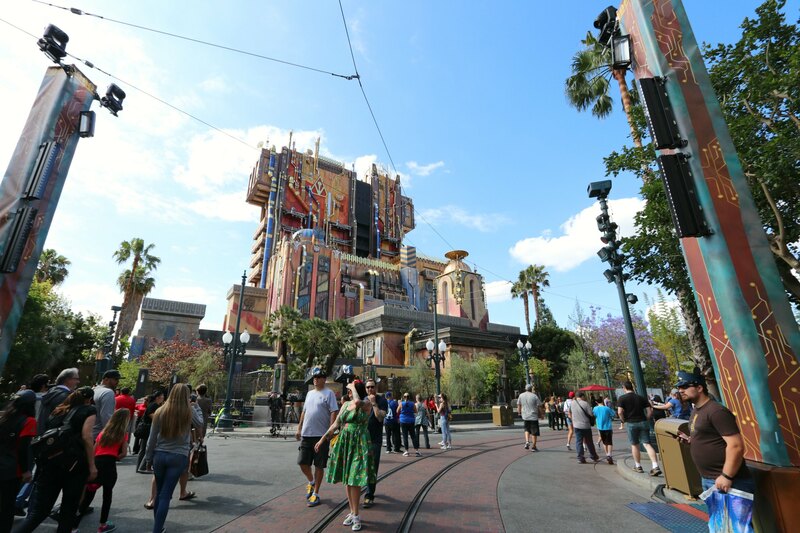 What we did and we would recommend you do too, is to walk all around Hollywood land and look at all the options. There are a lot of choices that are all hero themed so you will want to see them all before you make a choice. Remember this bread of all “bread” shaped like GROOT? Yep, we enjoyed one of these guys too! It is called, “I Am Bread” (of course it is) and it is located in Hollywood Land at the Fairfax Market Place. 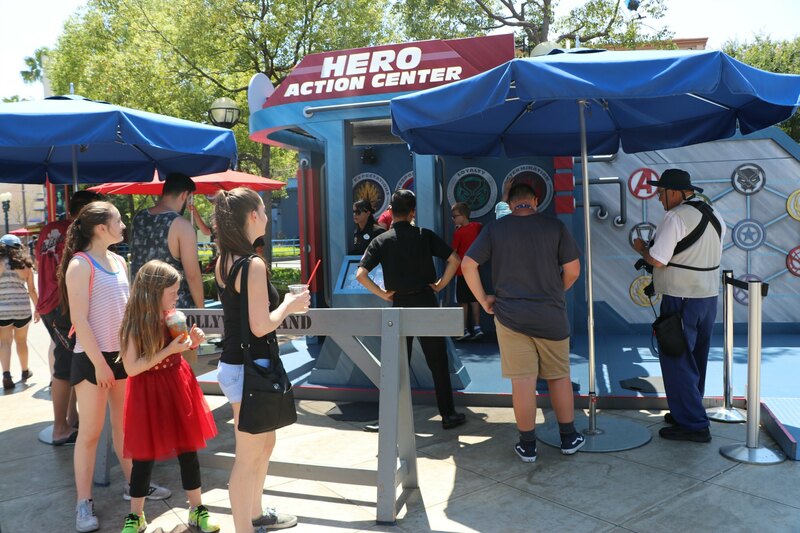 There are also so many other fun things happening like the HERO Action Center, so make time to just explore and take it all in! Over in Disneyland, the Main Street Electrical Parade is followed by “Remember…Dreams Come True” Fireworks Spectacular so that is a great way to wind down your day. I can't get enough of the parade and it feels like I am 7 years old myself every time I hear the music. Another thing you will want to do before leaving the parks is to go on Pirates of the Caribbean for its 50th anniversary and be on the lookout for Captain Jack Sparrow! Also, enjoy gold-dusted churros and Mickey-shaped beignets in New Orleans Square. Yep, like those couldn't get any better and then Pow! Gold dust! The girls actually lasted later than Pete and I did. They all rolled back into the hotel room after midnight! Emmy slept in the next morning with the help of some cuddles with baby GROOT! The Summer Of Heroes ends September 10th! 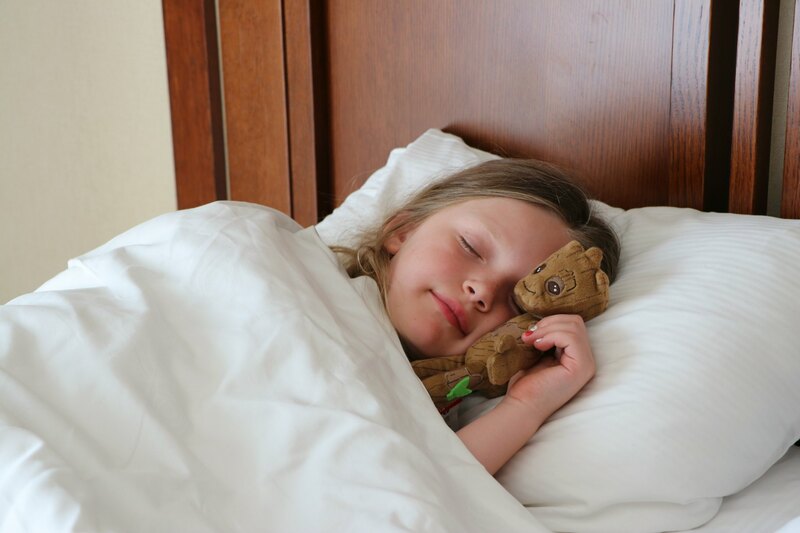 Are you heading to Disneyland anytime soon? Holy wow! This looks like it would be tons of fun. I know that my kids are huge super hero fans. My kids would love this! 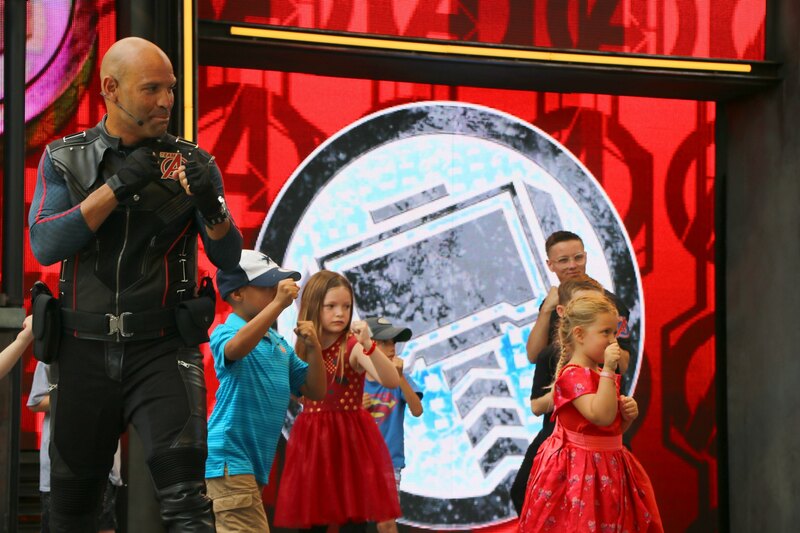 We always love to take our kids to events like this when we visit any theme park. It looks like a ton of fun! How FABULOUS was this experience!!!! The pictures rocked and what a story they TELL!!! LOVE LOVE LOVE!!! This looks like a blast! My son is all about superheros lately, so this would be epic for him. 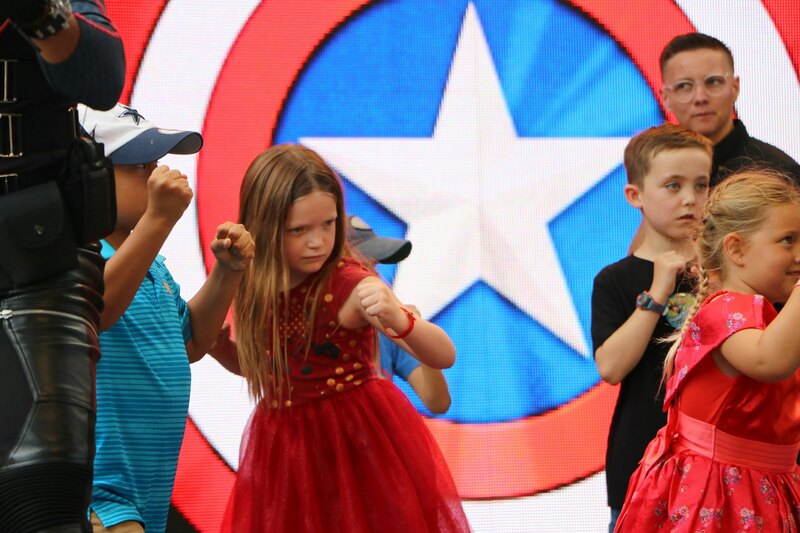 I would love to take my kids to Disneyland for the Summer of Heroes. It looks like so much fun. We are big Avengers fans. The Groot bread is so cute. I didn’t know about the Avengers Training Initiative. How cute is that! 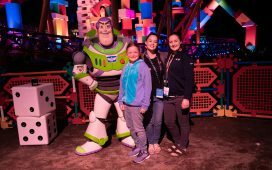 I love that the kids can meet their favorite heroes throughout the park too! oh my! how fun does this look! I had no idea about this happening at Disneyland! I’ve always wanted to take my youngest to Disneyland. I know he’d love being a part of a dance party! Oh WOW, what a really cool experience. 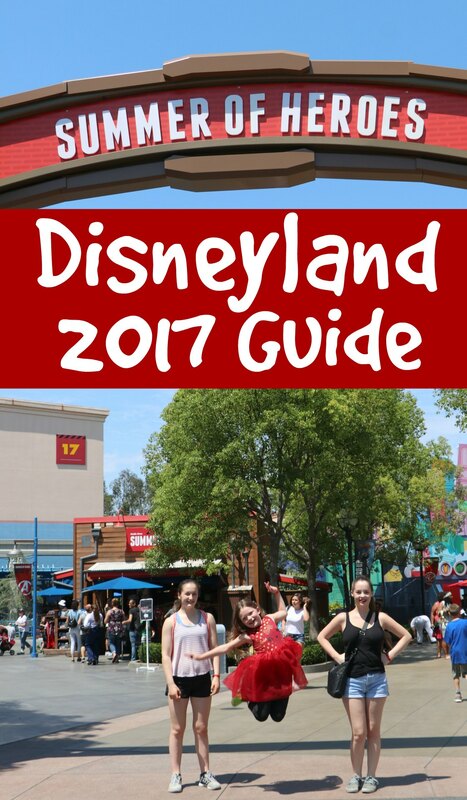 We were at Disneyland last year, but I can’t wait to return and check all of this out! Disney never does anything halfway, that’s for sure! The summer of heroes looks amazingly well done to the last details. 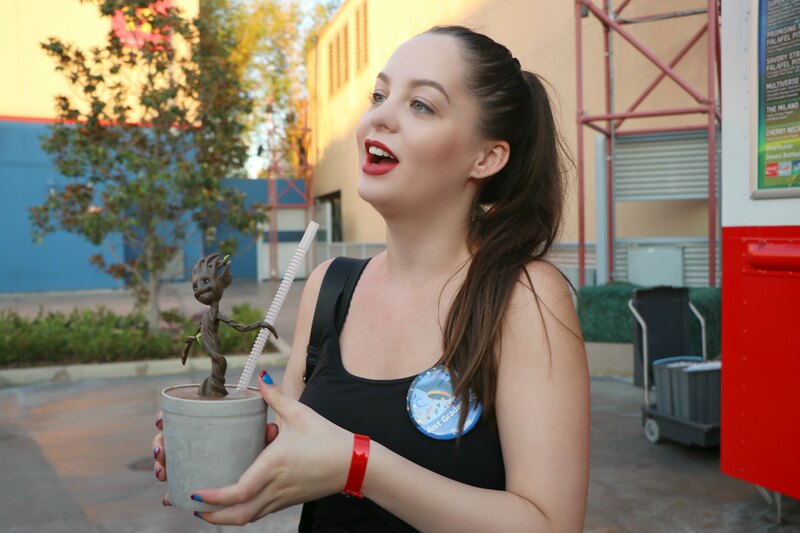 I want a baby Groot too! This sounds so much fun! 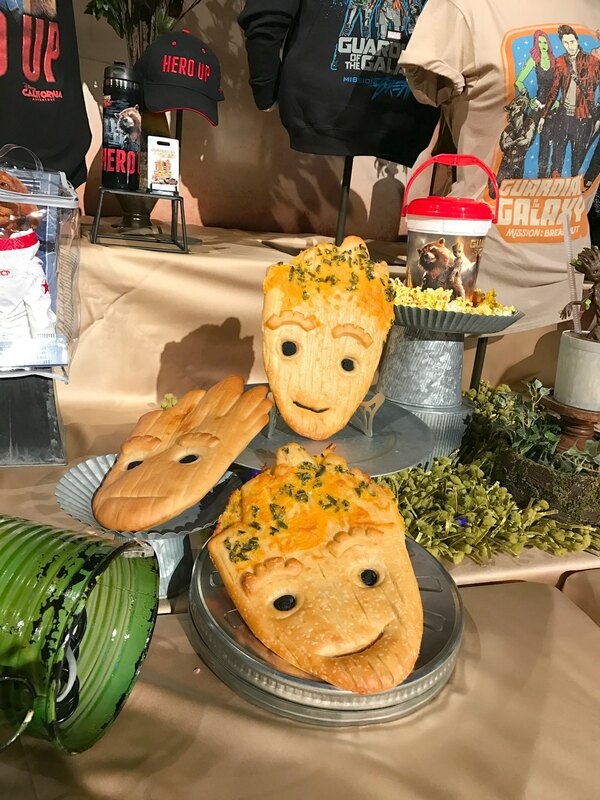 Those Groot bread are really cute! I would love to visit this summer with the kids! Looks like you guys had a great day! Those donuts look incredible! 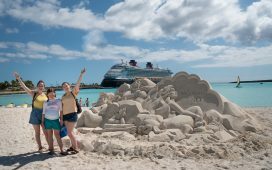 We are working a next-time we go list for Disney! This is a great one to add to the list! You know, I haven’t been to Disneyland since I was 5. I have been to Disney World multiple times. Your pictures remind me that I need to try out Disneyland. My daughter would LOVE the summer of heroes. She’s all about fighting crime and bad guys! Disneyland is so much fun, i haven’t been in ages need to go soon! looks like you guys had an amazing time. those doughnuts look really great. I wish I was at Disneyland! We are going to Disneyworld in January and I am pumped! Jealous we won’t do anything like this! I have only heard of the Summer of Heroes in passing. I bet a lot of Disney fans are excited for this event! This looks like a great adventure. Disneyland is a beautiful place people always love to go. My children have been begging me to go. Hopefully next year we will be able to swing it! This looks like a lot of fun! Your little girl is just the cutest. I love the excitement she shows. I have never really wanted to go there but now I wish I had. Oh, that looks like so much fun! I love that Disney made all those heroes kid friendly. We went on the back lot tour at Universal, and it talked about heroes, but it was definitely not G-rated. (PG-13 for sure.) I was disappointed. Way to go, Disney. 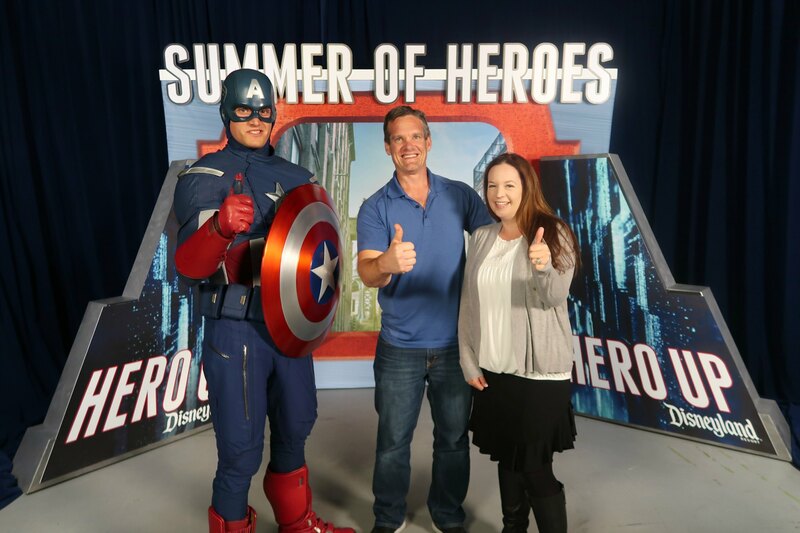 It sounds like you all had an awesome experience at the Summer of Heroes at Disneyland. 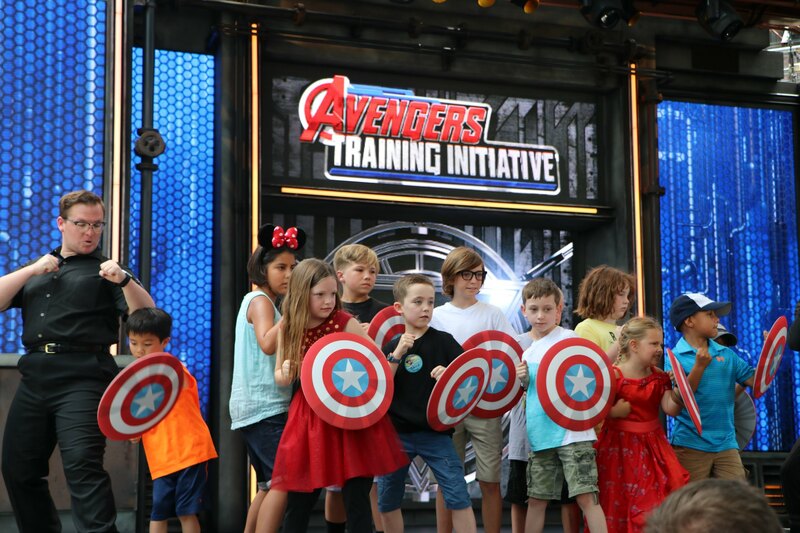 The Avengers Training Initiative had to be fun for the kids and a great way to start the day. . I love the bread shaped like Groot. Thanks for sharing your awesome experiences. Oh my those Grooth cookies looks so much fun to eat. Glad your family had a great time. Where is your next excapade? This looks like a great place to visit. I keep hearing people enjoying Disneyland 🙂 I haven’t taken the kids and they are getting older so someday I probably should! How neat! I love your little one in her dress rocking the training LOL Supergirl already! Disneyland is always on my top of my family travel list. You guys look like you have tons of fun. 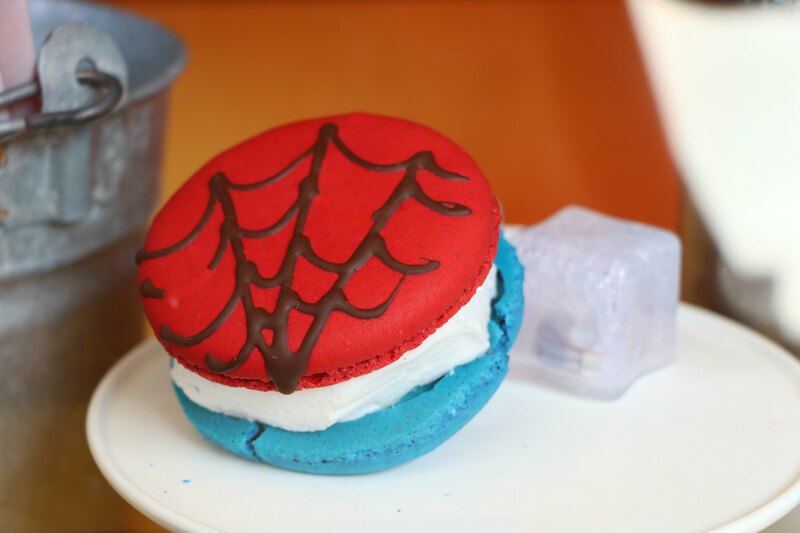 The spidy macaroons though. I’m so jelly! It looks yummy! This looks like great fun! I’m sure your family had a blast! We have never been to Disney. Looks like fun! I’m sure your daughters were delighted! 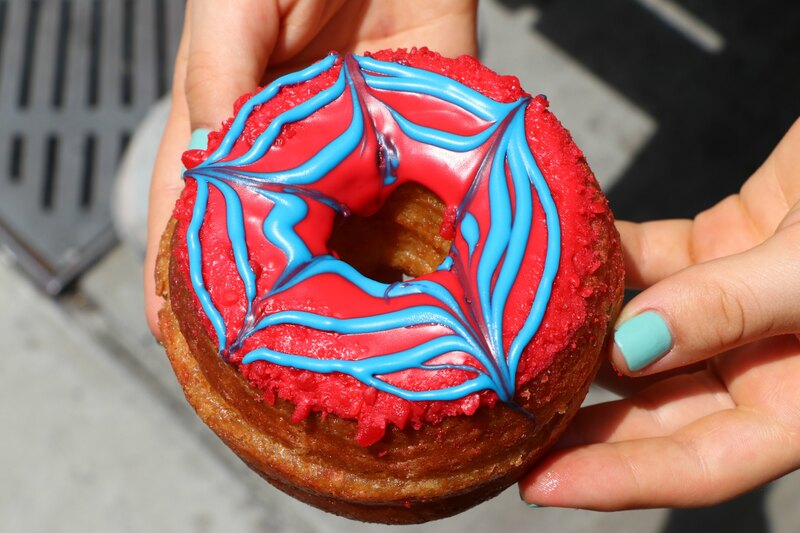 Spider-Man donuts! Groot bread! Oh this sounds delicious. I love hearing about all the new things that Disney has going on. It makes me want to go back right now! You got some cute pictures. 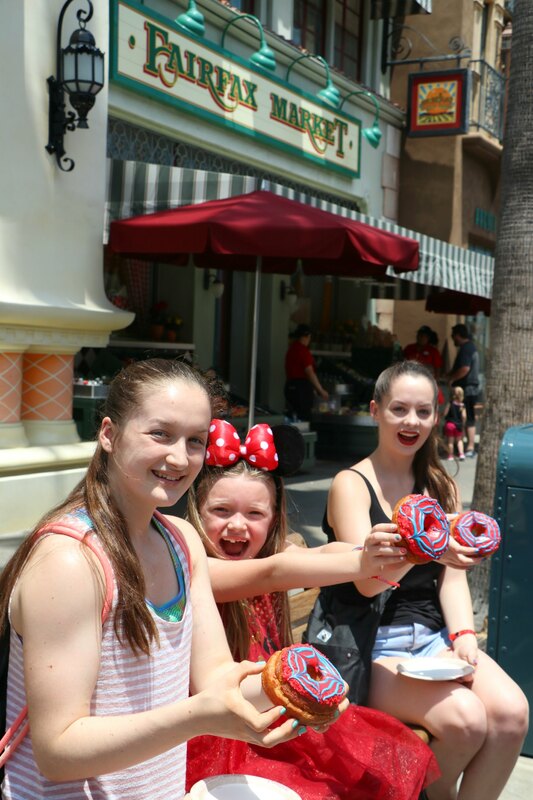 Thise Spidey donuts are calling my name. This looks like so much fun! I would love this. I’ve always wanted to take my daughter so I think we will have to plan a trip soon. Thanks for sharing all of your pictures! Looks like you all had a great time !! I can’t wait to visit Disney again. You can never visit enough. I wonder if the summer of heroes is new. I never heard of it. Hopefully I can visit Disneyland one day. So ready to check it out!